Guided Meditation and Pranayama - A journey to balance. Name: Guided Meditation and Pranayama - A journey to balance. Be guided through ancient breathing techniques, known as Pranayama, that have been scientifically proven to help balance our nervous system, improve our blood flow and circulation, and activate relaxation. Pranayama is the 4th of 8 limbs of yoga explained in Patanjali's Yoga Sutras. It is said that practicing pranayama allows for individuals to prepare for stillness in a meditation practice. 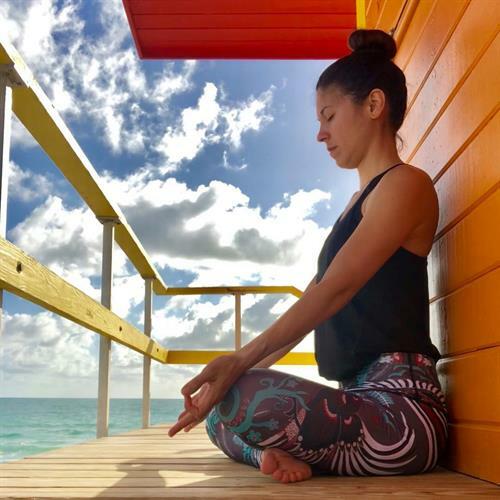 Join Franci every Sunday from 9:30 - 10am for a guided pranayama and meditation practice that will leave you feeling more centered. All levels are welcomed! Details: $5 can be paid by credit card at gift shop or cash.Chairs are available.